Tired of being the only design resource for your team? We offer a full range of templates using our own online generation platform. It’s incredibly simple, and highly flexible. 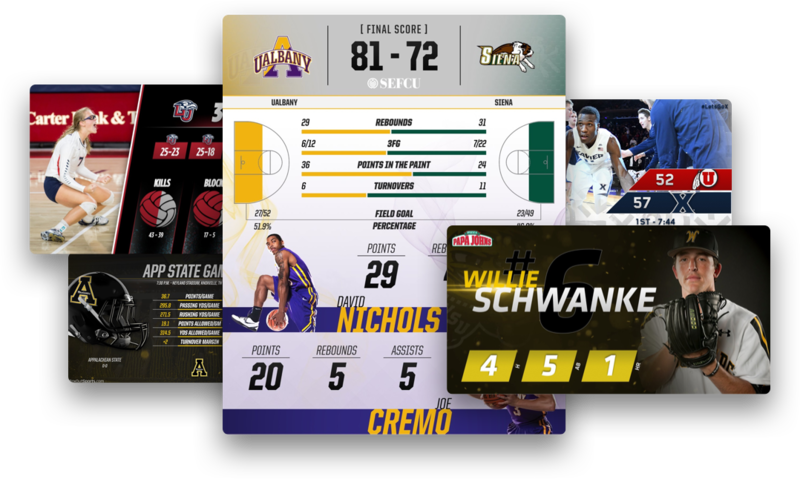 Need help inventing your team’s graphics and templates? Our design team can help you create custom graphics to showcase your teams look and personality. Want to optimize the workflow of your graphic design team? We can implement your designs into our generation platform, giving your designers more time to be creative. No matter if you just need to get up and running fast, or have to work inside of a budget, our template store is the place to start. Start demoing our templates today. Decide what plan works for you after you see what we have to offer. Want to stand out from the crowd, but don’t have the graphic design resources you need? 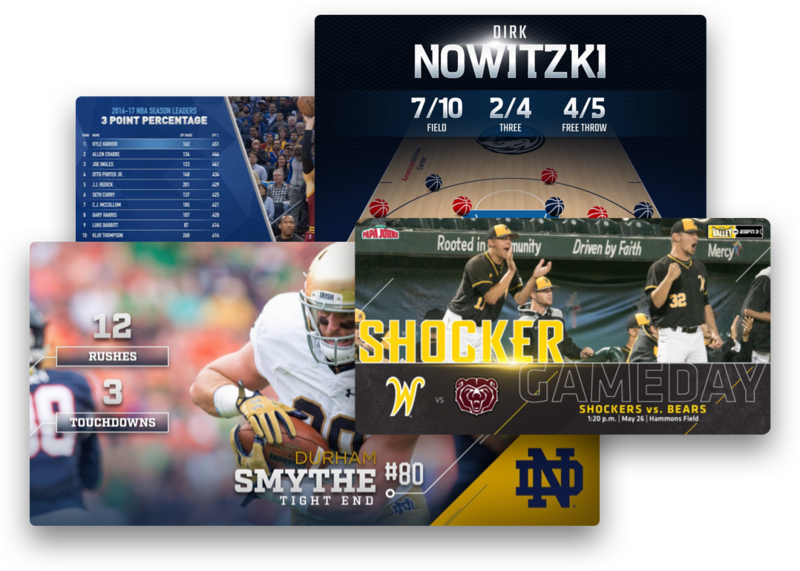 Let us design custom graphics for anything from player features to video boards. 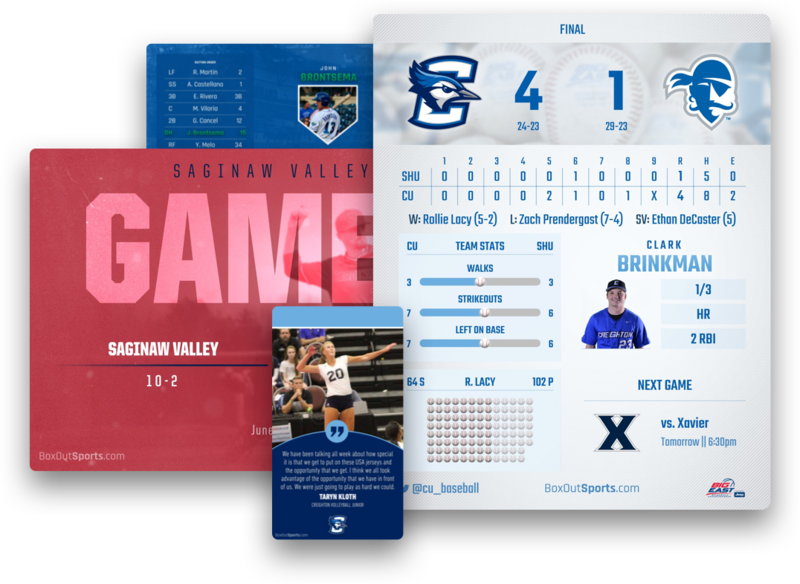 We've done extensive research when it comes to all of the graphics providers available and BoxOut Sports is by far the best in functionality, user-interface, design and customer service. They're the industry standard. BoxOut Sports has added another level of engagement to our social media accounts. After doing the research, we realized BoxOut was a perfect solution for us. 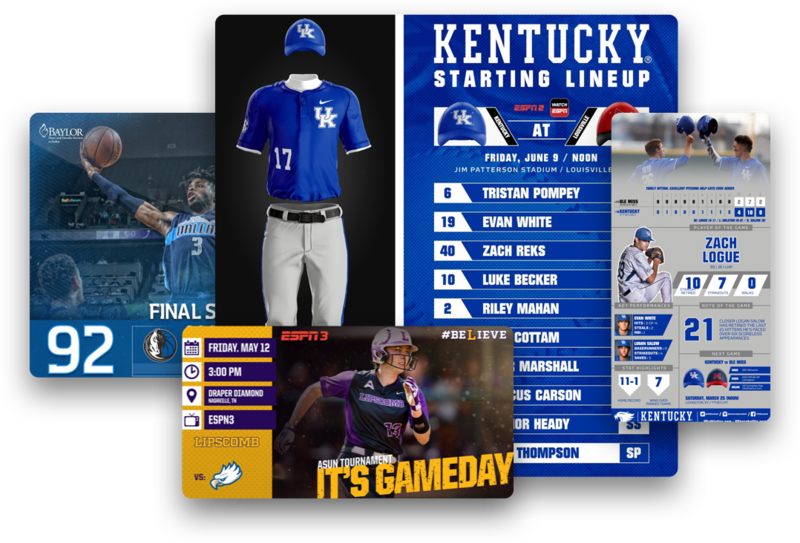 The graphics have been extremely well-received by our athletes, coaches and fans and we highly recommend BoxOut. Even if you have a full graphic design team, we can help optimize your designs into our platform to make day-to-day graphics creation take minutes. Let your designers continue to create new and exciting content, while you get your graphics in minutes instead of hours. Want to talk to us about custom design or integrations? Or just have more questions about how we can help promote your team? Let us know! Demo out our ready-made templates, buy with a credit card, and get started making graphics immediately.